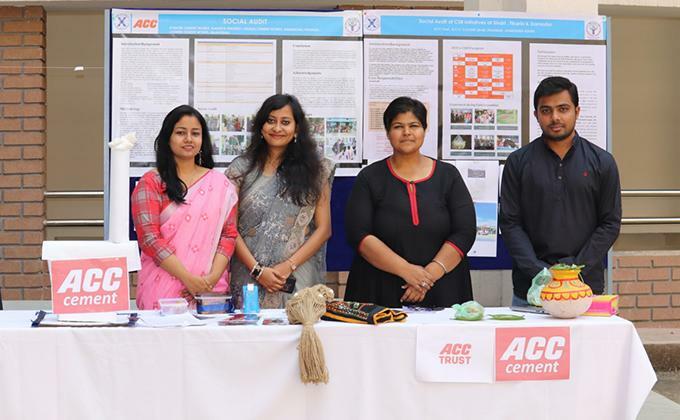 Xavier School of Sustainability (XSoS) organized its annual Sustainability Discovery Programme (SDP) from 30th November 2018 to 30th December 2018. SDP is a 3 credit course in the curriculum of the students pursuing MBA in Sustainability Management at XSoS. Twenty-two students of MBA Sustainability Management, Batch 2018-20, successfully completed their SDP this year. Eight organizations from all over India namely CHINAR (Uttarakhand), Urmul (Rajasthan), Asha Kiran Society and Village Redevelopment Organization (Odisha), ACC trust (Jharkhand and MP), Govardhan Eco Village and SPMESM (Maharashtra), HEADS from Karnataka were the partners for SDP. This course enabled the students to explore and experience various sustainability programmes and activities implemented by their respective organization to promote sustainability and sustainable development. Sustainability Discovery Programme (SDP) experience was shared by the students through the SDP Gallery on 1st Feb 2019 at the Xavier City Campus. The students showcased their SDP experience through posters, traditional dance performances and skit.